Finally I am doing another review, with quite some delay. This time it’s a shorter book. Splintered fate takes place in a world that is split between Rami and Madonians. The Rami are led by a king that hungers for war and even between the Madonians there are those who lust for fight and due to the enmity between those two races, the world is on brink of war. The main character, Lana, is Madonian council member that probably just crossed into adulthood and with some personal tragedies behind her. Eventually, things go downhill and it comes to fight, where Lana meets Kaiden, Rami warrior that is her childhood friend. There are also creatures called ‘Aorra’, spiritual beings bound to Madonians, usually in form of an animal. 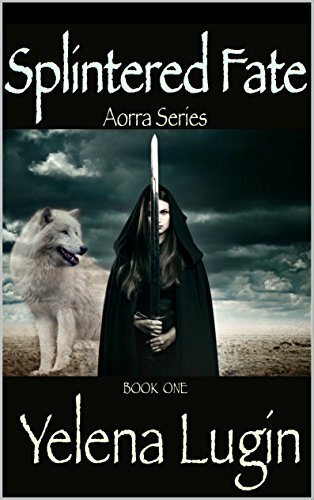 After series of events, Lana, Ardin (Lana’s wolf Aorra) and Kaiden are forced to run together, in hopes of saving themselves and hopefully Lana’s people as well as her faction of Madonians are those most willing for peace. They eventually discover a hidden city where members of both races live together and in peace and try to earn their trust and support in ending the war, but eventually Lana is forced to leave the city to protect her own. Without spoilers, it gets down to a close fight with one of her enemies. I must mention that I have a thing for connection to a creature, in many forms, which is one of the reasons I really liked Eragon and James Cameron’s Avatar. The bond between a Madonian and an Aorra is something that got my attention easily. On the other side, it’s visible that it’s self-published book of someone who does not have English as native language and someone more sensitive to this, it could be troublesome. This entry was posted in Books, Fantasy and tagged book, book review, Fantasy. Bookmark the permalink.